Hello my lovelies! I don't know about you, but I'm so not ready for Monday. The weekend went by too fast and I really need a vacation. I do think that I should start the day with a good mood though, so I try to stay positive and think about spring. 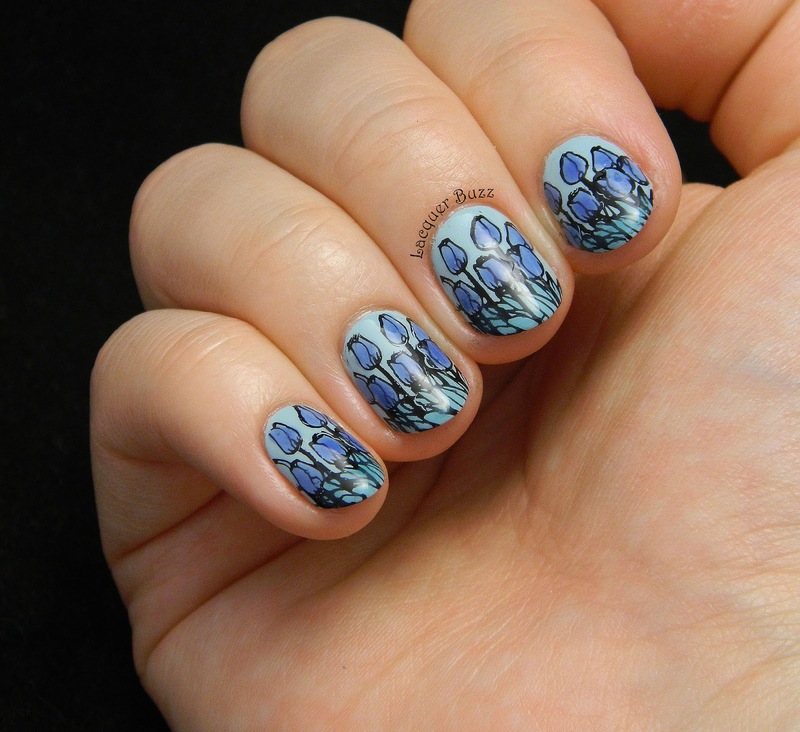 It's been a bit warmer in the last weeks and the sun has been shining, which inspired me to create some flowers on my nails. 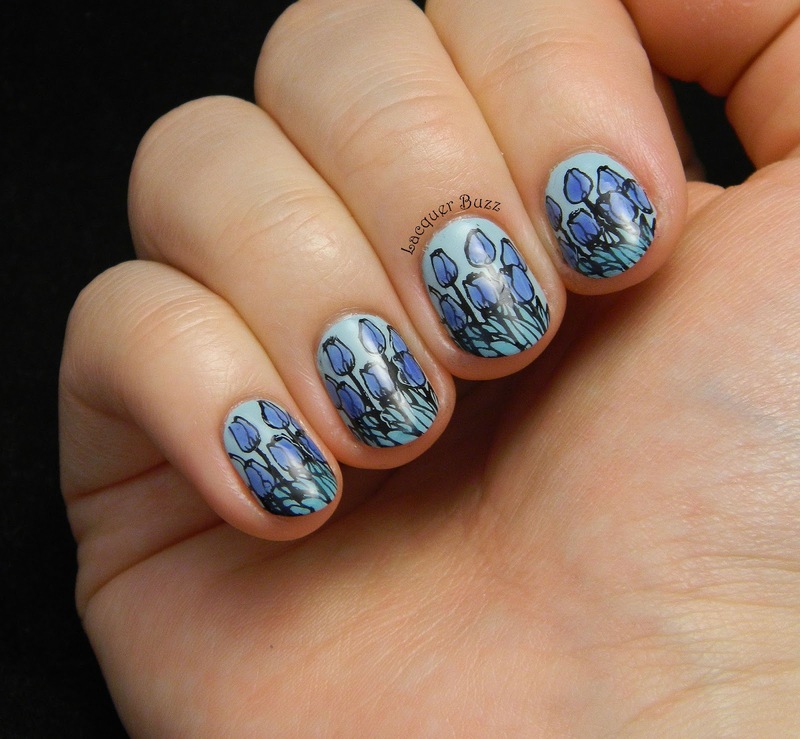 I've seen a lot of tulips around lately and I had this stamping image that I haven't used, so this is what I came up with. I started with a base of China Glaze Kinetic Candy, which is a compromise between a Tiffany blue and a sky blue. It's not the typical base for lead lighting because it's a bit darker, but I didn't really care. It's too beautiful to resist. 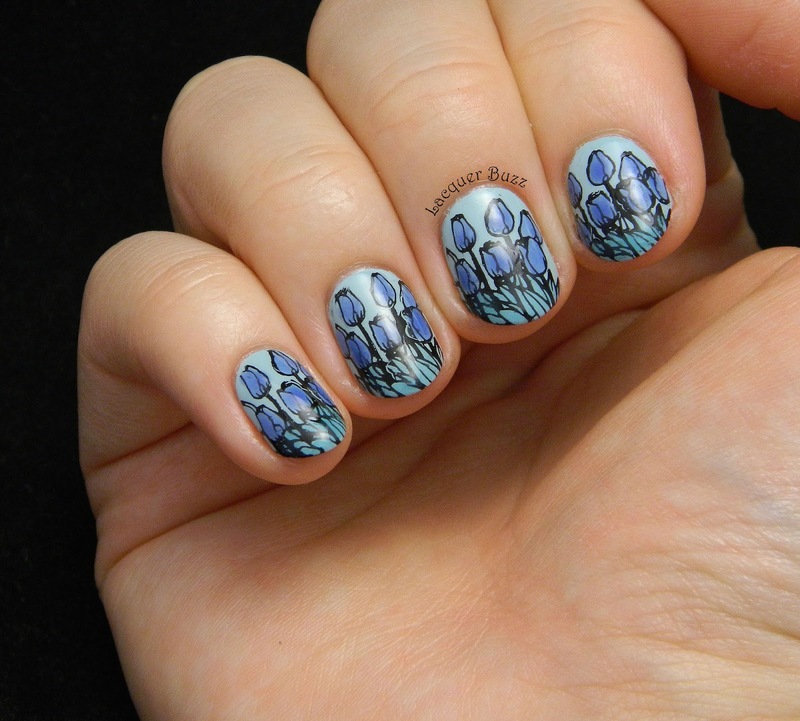 I stamped the tulips from plate 08 from MoYou London's Pro Collection using Konad Black and then used my home-made sheer tints to fill them in. For the leaves I used a teal shade that is barely visible in the pictures but I can assure you it's there. I finished everything with a coat of Seche Vite. This manicure makes me smile every time I look at my nails. I think that's a great thing to have on a Monday. Hope you enjoyed this manicure and that it brightened your day. Don't forget that you can check out the rest of the Monday Blues of this month in the links below. 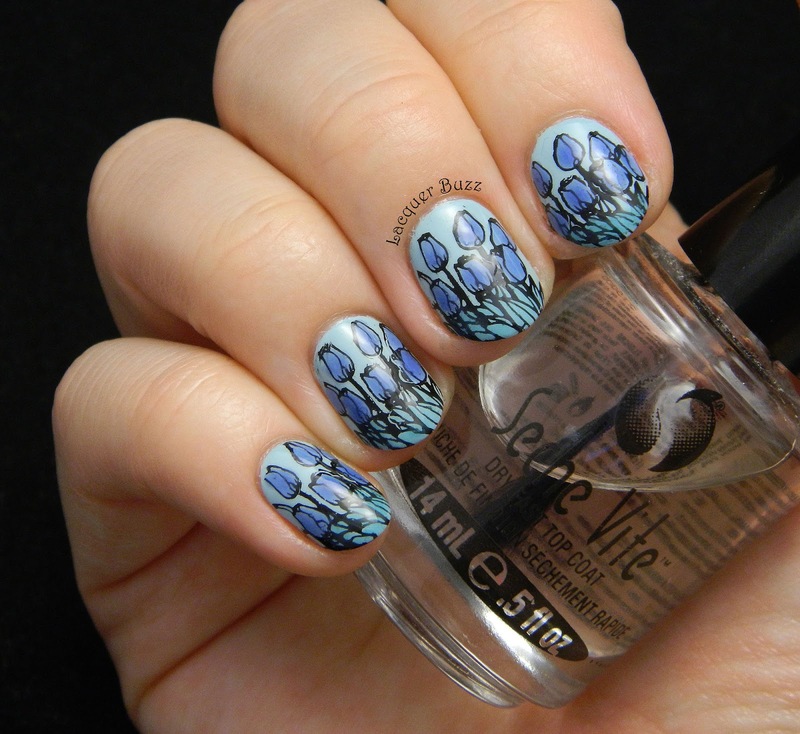 Super nice nail art! Love tulips! I just love how these look! I love this Mihaela!! So pretty!